We are still missing New York City after our trip a few months ago. It’s such an incredible city, and watching our friends navigate the city with kids in tow was impressive to say the least. We’re so happy to have Jenna from Lunchpails & Lipstick here to show us the ins and outs of experiencing NYC as a family. Hi everyone. I’m Jenna Crandall and I blog at Lunchpails & Lipstick. I’m always up for fun outings with my little ones. New York City is an amazing city for adventures. Every neighborhood and even every street is an opportunity to discover new things with your kids. Seeing the city through big curious eyes makes it quite magical. The best part about exploring New York City is the flexibility it provides. If an organized adventure gets too long or your schedule gets a little messed up there is no better place to be spontaneous. I’m excited to share our top five things to do in New York City. Trust me, it was extremely hard to narrow this down. 1. Brooklyn Bridge Park: This adventure is top of our list. We head to Pier 11 and hop on the East River Ferry to start our adventure. This ferry takes you from Manhattan to Brooklyn under 10 minutes. The ferry is perfect for watching sail boats pass by. The view of Brooklyn Bridge is awe-inspiring. When you get to Brooklyn Bridge Park there are so many adventures waiting. The Brooklyn Ice Cream Factory is always our first stop. Not only is this ice cream the best around but the view is spectacular. You can sit and eat your ice cream while taking in the Brooklyn Bridge, New York City Skyline and Statue of Liberty. 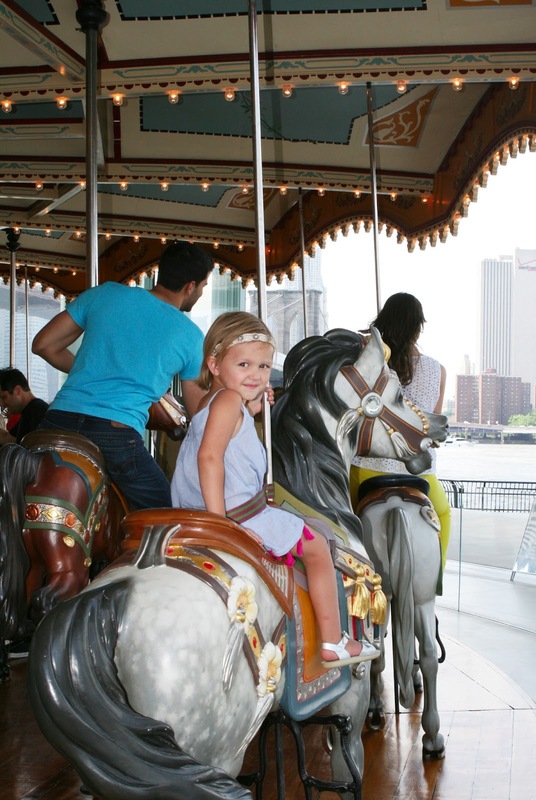 Walk over to Jane’s Carousel after your ice cream treat. It’s located in the Dumbo section of Brooklyn Bridge Park and sits right on the water. 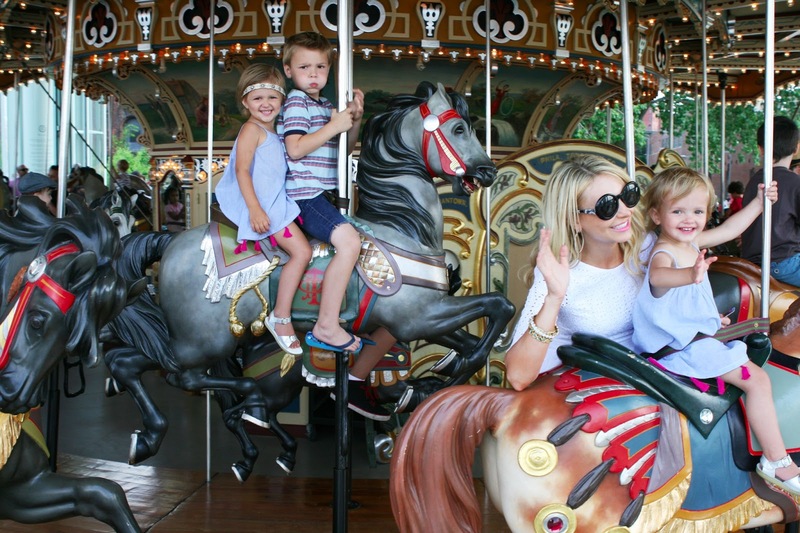 This antique carousel was made in the 1922 and has been restored. It’s beautiful! Little ones can’t help but smile when they see this. Brooklyn Bridge Park is full of playgrounds, restaurants and green lawns. Grimaldi’s Pizza is always a favorite. We call ahead and order it to-go. We eat it at one of the parks. Plan to spend an entire day exploring Brooklyn. 2. Met Roof Top: A day at the Metropolitan Museum is a favorite. Kids love to run around and explore the roof top. You need to go on this adventure right when the museum opens to avoid the crowds. The views of Manhattan are unreal. It’s open May through the late fall. With our friends Mary Martha and Lizzie and their cute boys! 3. 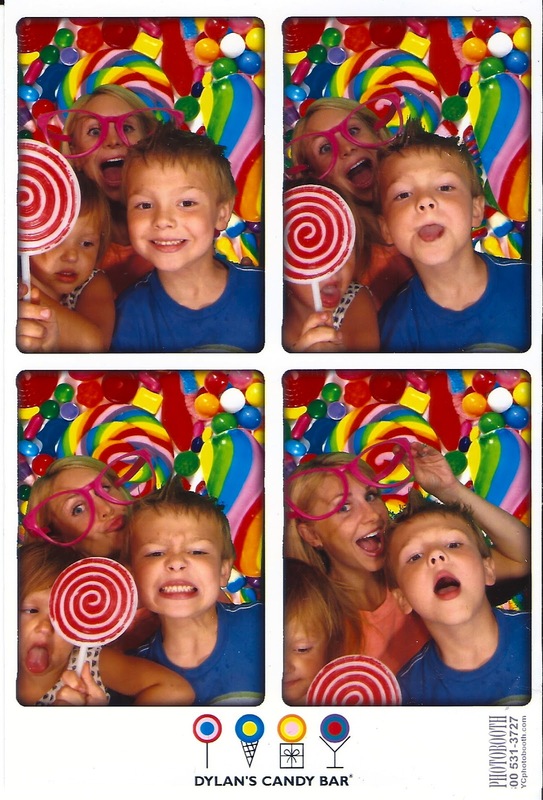 Dylan’s Candy Bar: Dreams come true at Dylan’s Candy Bar for kids of all ages. Walls of colorful candy and every kind of chocolate can be found here. Little hands will be filling candy bins in turbo speed. Head downstairs to play in the photo booth and don’t forget all of the clown props. 4. Bubby’s: Bubby’s is famous for breakfast. The sour-dough pancakes with blueberries and waffles with eggs are so good! The walls are covered with writing and will make any mom feel right at home. The staff brings the kids crayons and coloring pages right when seated. Bubby’s also has a photo booth downstairs. It’s the perfect distraction while waiting for the food. Bubby’s is located in a charming neighborhood with cobblestone streets. 5. 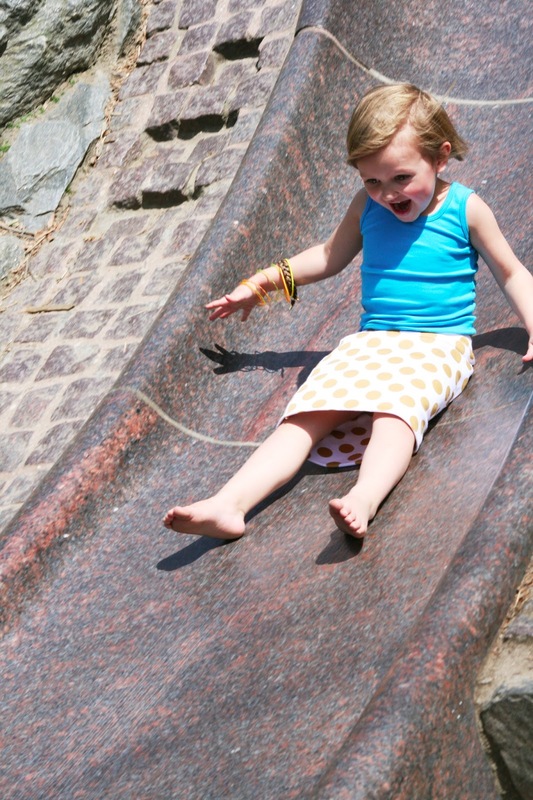 Central Park Playground & Slide: Head to Billy Johnson Playground in Central Park. The enormous marble slide will occupy your kids for hours. Locals bring cardboard to make the ride even faster. Swings are right next to the slide for the little ones. The huge sandbox in front is an added bonus. It’s located just off Fifth Avenue on 65th. Thanks Jenna, this looks like the most incredible day! We can’t wait to head back to the city with our families. We are so sad this week is over! It’s been such a fun kick-off to our new series and we are so glad you all love it as well! Because Summertime is all about travel and new adventures, we are going to keep this series up every couple weeks until school’s back in session and then it will take it’s place among our other monthly series’ like Moms You Should Meet, Meet a Small Fry and Little Foodies. We have some great cities coming your way, including some International features! As always, Happy Fryday! We love all those places! Great post, Jenna! Oh, I so wish this was posted a month ago – we just got back from a week in NYC and had a fabulous time – but would have made time for a few of your recommendations! !